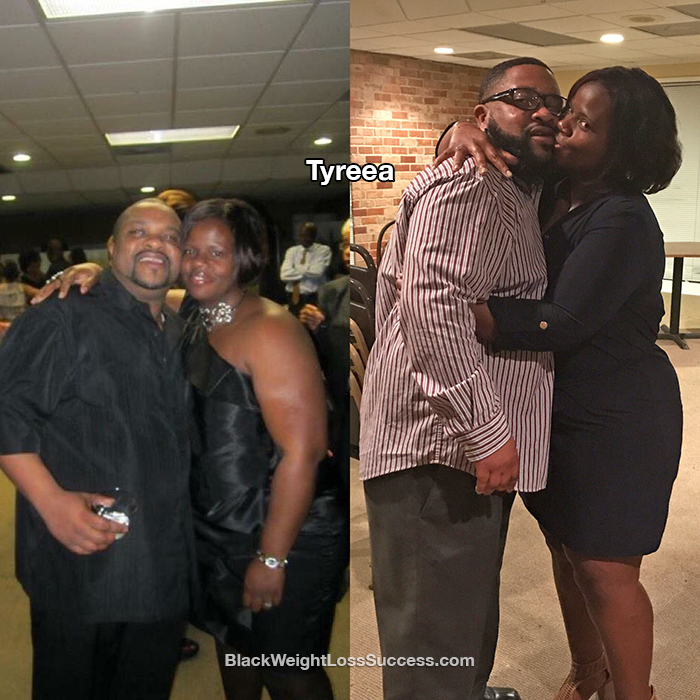 Update 2017: Tyreea lost 50 pounds. Her husband has joined her on this journey and both have seen their blood pressure improve. Exercise, green smoothies and healthy eating habits have helped her continue to lose weight. The picture on the left is from March 2012 and the picture on the right is from March 2017. My husband and I decided to join the Green Smoothie Cleanse LIFE. Our blood pressure has changed for the better. We have more energy and we are working together as a team! This has truly been a blessing. I’ve lost 50 pounds. My weight stays regulated with exercise, green smoothies and watching what I eat. I will find out on March 24th if I will completely free from high blood pressure pills. I currently take half of a pill. However, my husband’s blood pressure has been more consistent. Nov 2016: I have maintained my weight loss through Green Smoothies. I am also continually working out with Shaun T’s CIZE program 3 days a week. I have stopped eating sweets, I crave more fruits and I drink 64 oz or more of water a day. I’ve learned that I can be more disciplined about my health. To benefit my kids, I want to feel better and not be so tired. I’m hoping that in January 2017 my doctor say I no long have to take high blood pressure pills. I’m currently down to just half a pill. Advice for others: If you start, keep going and don’t give up. It might look dark but keep going! 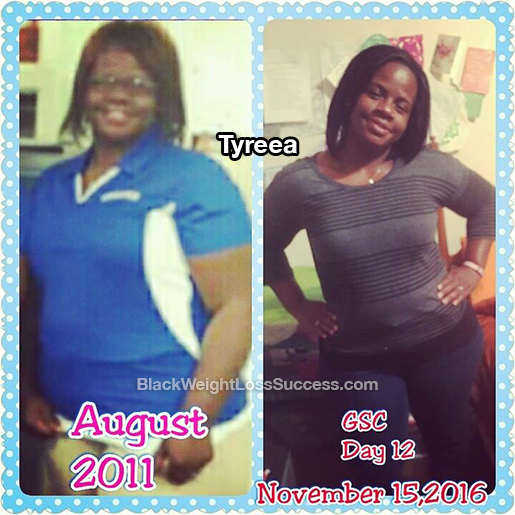 May 2013 – Let’s celebrate with Tyreea who has lost 22 pounds. Her motivation was to get of high blood pressure medication and be there long term for her kids. I would like to share my weight lost. 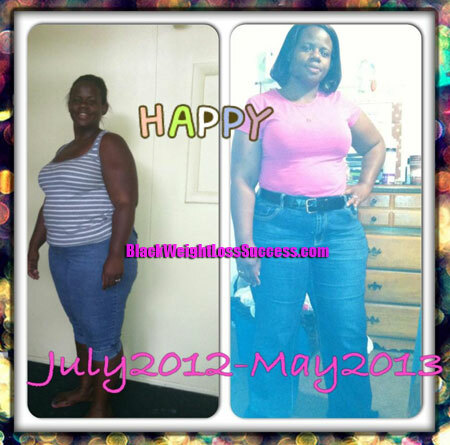 I started July of 2012 and the after pic is this month, May 2013. I’m still going. I feel so much better!! Before I started, I was 258 pounds and now I’m down to 236 pounds. My motivation was losing weight so that I could get off of high blood pressure medication. I also wanted to stick around longer for my children. I stayed away from carbs, sweets and I began eating more fruits and vegetables. I workout to “Sweating in the Spirit”, a Donna Richardson workout DVD, 3 times per week. Thank u so much! !